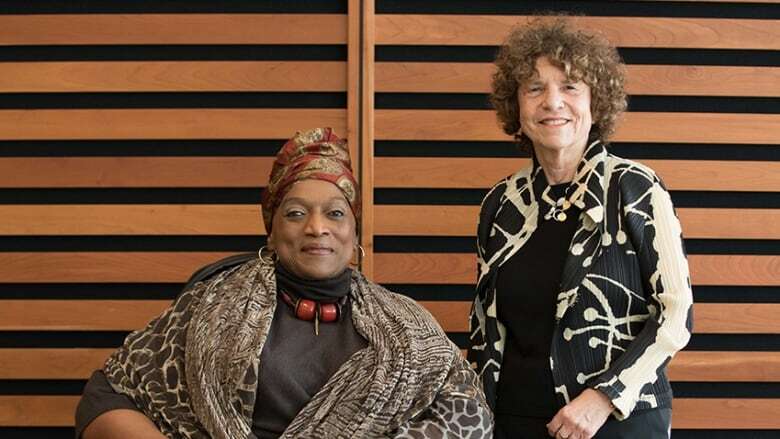 On Feb. 20, 2019, Jessye Norman became the first woman to win the international $100,000 Glenn Gould Prize, presented for exceptional artistic and humanitarian achievement. 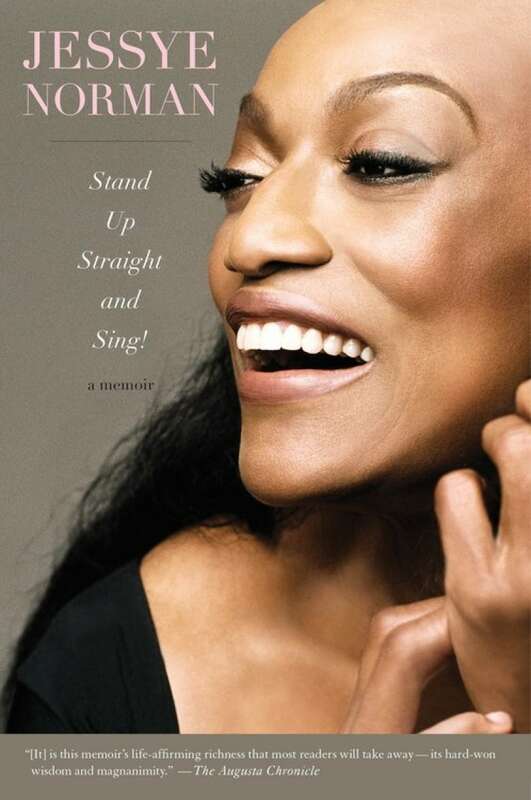 Born in Augusta, Georgia in 1945, Jessye Norman grew up in the segregated American South, in both a musical and politically engaged family. She participated in sit-ins and demonstrations. She also sang — every chance she got — in churches, at school, even at a grocery store opening. With her extraordinary voice and her musical versatility, she became one of the world's greatest singers, performing for Nelson Mandela, the Dalai Lama, Rosa Parks and the Queen. Author of the memoir, Stand Up Straight and Sing, Norman spoke to Eleanor Wachtel in 2019 at the Toronto Reference Library. "My childhood in Augusta, Georgia was magical in the sense that, even though I grew up in the Jim Crow South with segregation everywhere, I could have been in a situation where it would have been easy to have worn that differently. I was lucky to grow up in a loving community — around the corner from our church and down the road from my elementary school — with parents who were incredibly interested in education and in ensuring it would envelope the the minds and bodies of their five children. "Going to a segregated school was actually being a kind of a blessing. I say this without wanting people to think we should go back to 'separate but equal' — Plessy v. Ferguson was not a good idea then, and it certainly wouldn't be a good idea now. I grew up with teachers in my school who wanted us to do well. We were the first generation of children born after the Second World War and they wanted us to have a better life than they had." "My father was the manager of insurance company. He would still somehow arrange his day to drive me wherever I had to sing — and I was singing all the time. I sang more as a child than I did as a professional. Our parents at that time would not have stood for a public school education that did not include the arts. There would have been no discussion of taking away the arts because was too expensive or not necessary. They knew instinctively that it was necessary — and that the arts are just as important as science, technology, engineering and mathematics. "But it was an interesting, happy life in the Deep South for me. I grew up at a situation in that could have made me feel very differently about myself and about my place in the world. I think it was a lucky break." "I was surrounded by signs of segregation. There would be water fountains: one would have a sign saying 'coloured' and the next one would say 'white.' At age of five or six, I simply didn't understand what the nonsense was about. I would go to the 'white' fountain and turn on the water, and then go to the 'coloured' fountain and turn on the water. I would be confused and tell my mother that they were the same. When you're growing up, you haven't the faintest idea that everybody else in the world isn't growing up the same. "As a young child I was a member of the youth council for the National Association for the Advancement of Colored People (NAACP) and my older brother was the president of this association. So we were we were involved in sit-ins and we were given money by the organization to go and actually sit at a lunch counter and if were given food at least you could pay for it. But most of the time we were completely ignored. And I just thought that people just didn't know how to behave. I still do." "My voice is well-suited to singing the music of Wagner. I completed my classical vocal training from Howard University and studied with voice teacher Carolyn Grant. She took my three different voices — my low, middle and upper registers— and helped me understand how to use them all equally. "I have an unusual range. It's a gift. But we have to understand that we are all born with a voice. What we can do with training is change its colour — and if we are very clever we learn how to support our voices. It's important to understand the physiology of singing and what is going on in your body when you take a breath and make a sound. If we're more comfortable with understanding the anatomy of our bodies, then we are more comfortable singing." Jessye Norman's comments have been edited for length and clarity.